The Atletico Madrid manager said they lost against Real Madrid because they played against a very convincing opponent. Atletico Madrid was defeated 3-1 by Real Madrid in today’s Spanish La Liga Madrid Derby. 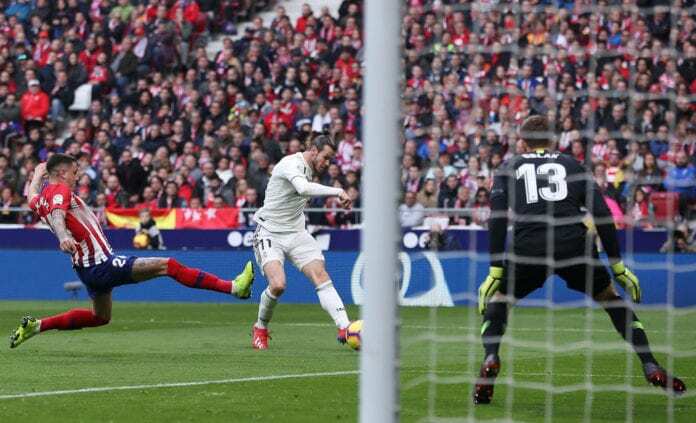 The Colchoneros lost at home, as the Video Assistant Referee (VAR) technology was used in many key decisions. “Atletico Madrid lost because of a convincing opponent,” Atleti’s boss Diego Simeone told Sky Sports. “I can’t see the replays like those working with VAR do, so I hope they were correct with the decisions,” he added. “Football is played with all the members of the team,” Real’s coach Santiago Solari said. “To get points at this stadium, against a very competent, very competitive and very strong team in all fields, but especially here at Wanda, the only way is doing a match like the one we did today,” he commented. “Today, in general, I thought we played a really good game,” Sergio Ramos added. “We have achieved our objective, we came here to win here and get back into second. We haven’t been there for a little while and to cut the gap on the leader [Barcelona]. They have to play tomorrow, let’s see what happens,” the Real captain concluded.